There is one list of holidays commonly recognized throughout the United States by the average citizen. This list includes the like of the fourth of July, Halloween, Christmas, New Year’s Eve, perhaps Hanukah, maybe Easter…etc. Then there is anOTHer set of holidays that only teachers know about. It’s true. Secret list. Teachers, in addition to decorating their classrooms seasonally and being more likely to wear holiday-specific attire than anyone else in the world, have created a whole slough of extra holidays to celebrate. This phenomenon occurs because teachers don’t have anything else to do with their time (sarcasm.) It actually occurs because teachers are just such fun and fantastic people. 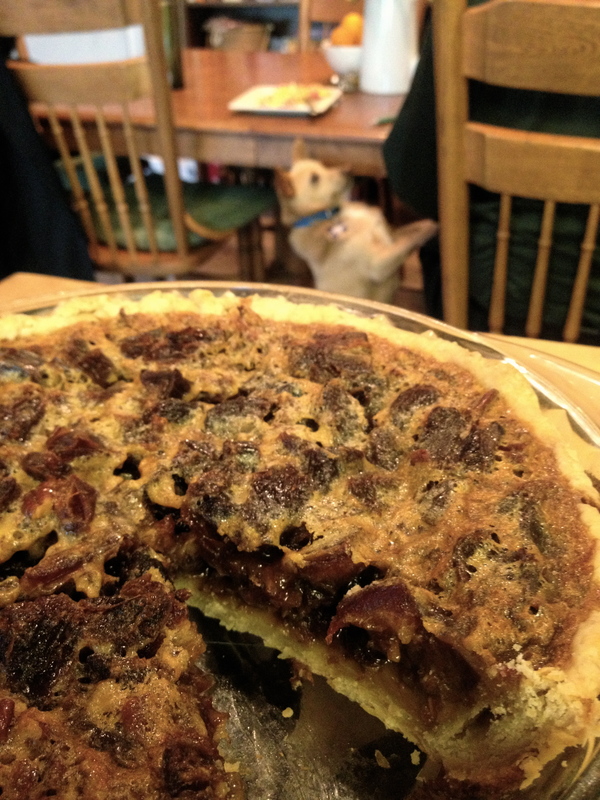 On Pi Eve (3.13) I baked Ken Haedrich‘s Chewy Medjool Date-Nut Pie. 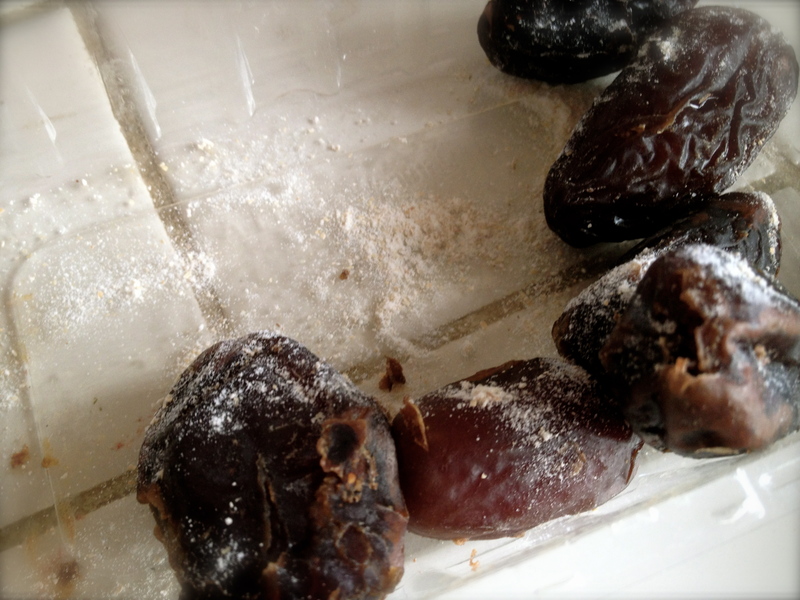 Just one little tip from Ken about chopping dates: it’s much easier if you sprinkle a little flour over them first. Cause they’re really sticky, dontcha know. Dates: one of those food items people either love or hate. I love ’em. Obi would gladly have taken the job of taste tester upon himself had he been granted the opportunity. Here are a few peeks of Pi Day gluttony in action. I love pie and all, but I’m telling you, this is a no-fail recipe for a stomachache. 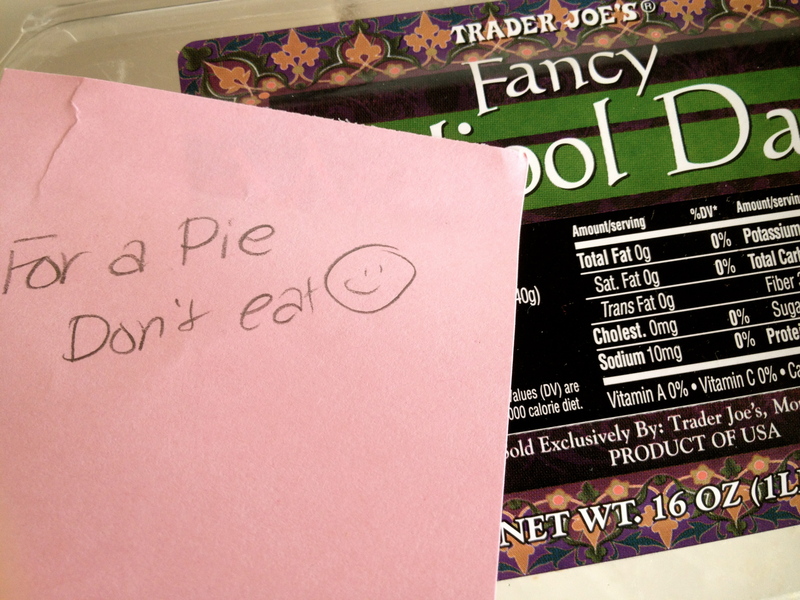 If you’d like to check out my post about LAST Pi Day (3/14/12), go here. If you’d like to watch a video my students made last year in response to the question “What is Pi?” you can find that here. If you commented on my last post (about Pie-in-a-Jar) thank you so much for your enthusiasm! I will be randomly drawing the names of at least one domestic and one international helper and will announce the winners in my next post. Here’s hoping the jars can hold up to the journey!